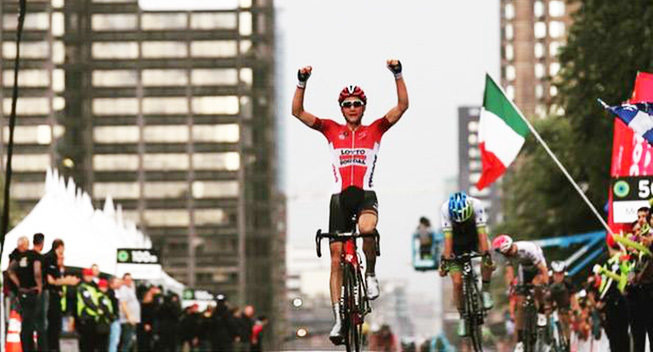 “Thanks to my second victory at the Eneco Tour and the victory at Montreal the confirmation was there. However, every year will have to be a confirmation and I’ll have to try to do better," Wellens said. Tim Wellens amazed the world of cycling with his fantastic performances at the 2014 Giro d'Italia, but his previous season has to be described rather as somewhat disappointing confirmation of his potential than another step up. The 24-year old Belgian admits that last year's schedule didn't do him any favours, but he's ready to shine again after learning how to handle the media pressure in his home country. Wellens kicked off his last season on a high, performing well at the Challenge Mallorca and finishing 10th in the Paris-Nice general classification. Following a new race programme, the Lotto-Soudal rider couldn't find the right rhythm through spring and early summer, as a consequence failing to achieve good results in events marked as his main objectives – the Ardennes classics and Tour de France. Shaking the pressure and disappointment off, Wellens managed to raise again and save the season by defending his Eneco Tour title and winning the Grand Prix Cycliste de Montreal. It turned out just enough to confirm his exceptional potential, but rather than that ambitious Belgian seeks further improvement. “Thanks to my second victory at the Eneco Tour and the victory at Montreal the confirmation was there. However, every year will have to be a confirmation and I’ll have to try to do better. The important thing is to make a step forward every year,” Wellens told Cyclingnews. Lotto-Soudal rider believes that returning to the programme he followed in 2014 will allow him to make another step forward and shine again, throwing in one more important goal – Olympic Games road race event.